With O.N.I.F.C. 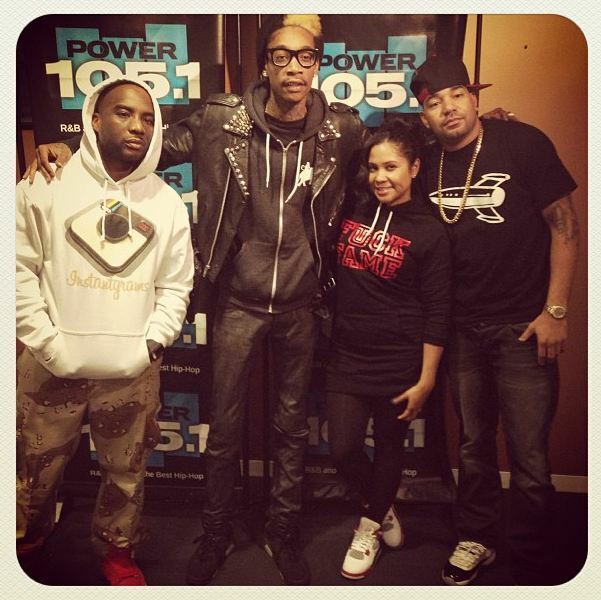 finally in stores, Wiz is on his promo run and one of his first stops is with Envy, Charlamagne, and Angela Yee. Above you can check out Wiz talk to The Breakfast Club about him being a father and husband soon, balancing his mixtape and commercial sound on his albums, his soon to be wife, Amber Rose, and more. O.N.I.F.C. is in stores now, get your copy.